Objectives: The human ovary is characterized by early senescence and the end stage of ovarian activity is termed menopause. The age at which menopause occur is between 45 and 55 years world wide. 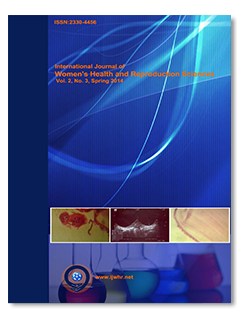 The objective of this pilot study is to determine the age at menopause by using a model of FSH over age in women of sub urban region around Chennai, India. Materials and Methods: The subjects include 500 patients of age between 30 and 36 yrs with BMI ranging from 24-28.After recording their general profile and history, blood samples were obtained by venipuncture and hormone FSH was estimated on the day 3 of the menstrual cycle. Based on functional dependence of FSH in the form of exponential relation with age, a model was proposed. Using least square approximation the beta values were calculated. Results: With the help of beta values and using the cut off value of 40 IU/ml for FSH, this predicted model determined the age of menopause as 44.6yrs in women of sub urban region around Chennai. Conclusion: The age of menopause is different in various region worlds wide. According to this pilot study the suburban women of Chennai, attain menopause at an age of 44.6 years. Further exploration should be done to alleviate the role of diet, life style and ethnic variation on menopausal age and the impact of chronic disease like osteoporosis during the period of menopause.